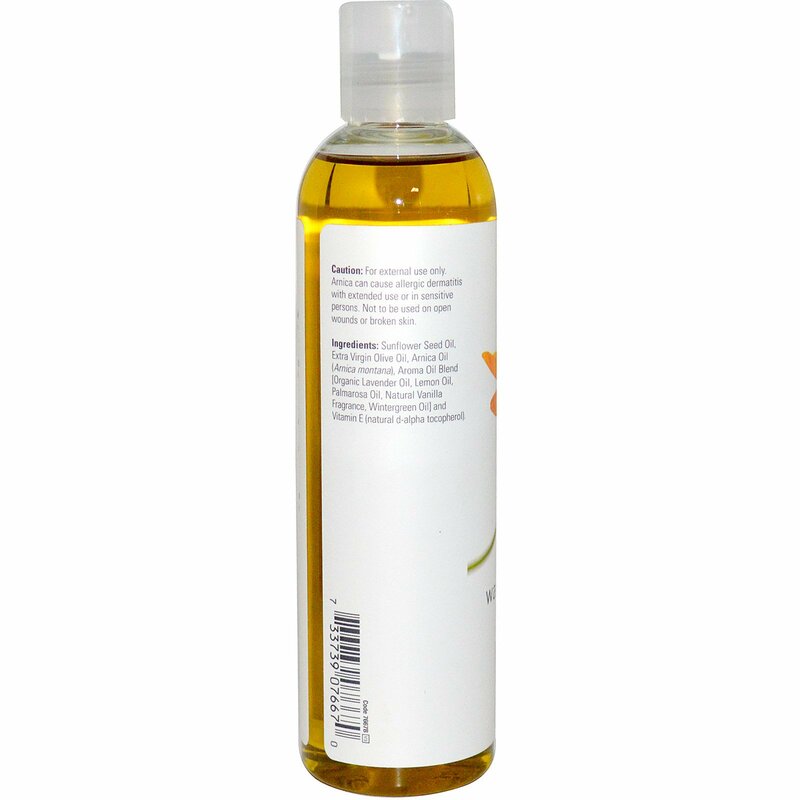 Solution: Arnica Warming Relief Massage Oil captures the natural soothing essence of Arnica to provide immediate warmth and relief to tired, overworked muscles. Set in a base of antioxidant-rich Olive Oil, this deep-penetrating massage oil contains potent Arnica, in addition to a perfect collection of essential oils and other natural extracts. 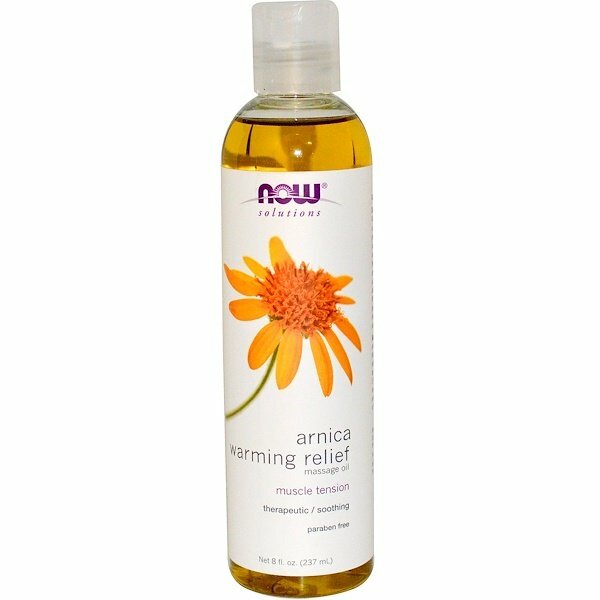 Arnica Warming Relief Massage Oil is perfect after a busy day or a strenuous workout, and can also be used as a daily skin softener. Massage desired amount of Arnica Warming Relief Massage Oil into any area of the body that needs relief from muscle tension, aches or pains. Apply the oil 2-3 times a day as needed, until the muscle tension is relieved. Keep away from sensitive areas, and do not ingest. Sunflower seed oil, extra virgin olive oil, arnica oil (arnica montana), aroma oil blend [organic lavender oil, lemon oil, palmarosa oil, natural vanilla fragrance, wintergreen oil] and vitamin E (natural d-alpha tocopherol). Caution: For external use only. Arnica can cause allergic dermatitis with extended use or in sensitive persons. Not to be used on open wounds or broken skin.